Chinese side of Mt. Everest More than 100 Japanese have reached the summit of Mt. Everest. The first ascent was in May 1970 by Naomi Uemura and Teruo Matsuura, followed by Katsutoshi Hirabayashi the next day. The first Japanese expedition on a mountain over 8,000 meters reached the top of 8,163-meter Mt. Manaslu in Nepal in 1956. In 1983, Horoshi Yoshini made the highest bivouac ever by a mountaineer, overnighting with a tent just below the summit of Mt. Everest at 8,830 meters. He survived the bivouac but fell to his death the next morning during his descent. In 1998, Japanese climbers participated on the expedition that climbed the North Cole east ridge of Mt. Everest. A team from Nihon University climbed the mountainss northeast ridge. A climb called historic and described as a very long and arduous climb at high altitude. Former Japanese Prime Minister Hashmito led two unsuccessful ascents of Everest. A Japanese man Yuichiro Miura was the first to ski down Everest. He did it with a drag parachute acting as a brake to prevent him from sliding into the Khumbu Ice Field. Six Sherpas died when part of an ice fall shifted on the Khumbu Ice Field, the most treacherous part of the Everest climb. The entire adventure was chronicled in the film The Man Who Skied Down Everest . Miura climbed Everest at age 75 in May 2009 but his record was broken two days later by a Nepalese man who was 76 and 340 days. Tabei had scaled 69 other major mountains as of 1996. In 1992, she became the first woman or climb the tallest mountains in the world's seven major regions. Her goal after that was to climb the highest mountains in every country in the world. In 1995, a typical year, she climbed the highest mountains in Panama, Costa Rica, South Korea, Venezuela and Sri Lanka. The fifth daughter in a family with seven children, Tabei was born in 1939 in the small town of Miharumachi in northern Japan. She was labeled a weak child in elementary school and developed her interest in mountain when a teacher dragged her on a hike to nearby mountains at the age of 10. A few years later she climbed Mount Fuji and later married mountain climber Masanobu Tabei. 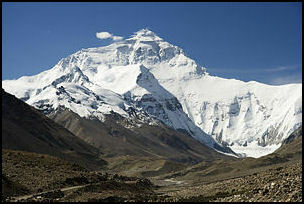 In 1970, she climber Annapurna III. Tabei said she had difficulty securing funding for her Everest climb because she said, "Most companies' reaction was that for a woman, its impossible to climb Mount Everest." She eventually got help from the Tokyo newspaper Yomiuri Shimbun and Nihon Television. Tabei describes herself as an individualist. She often lectures about the downside of conformity, telling her listeners to be "the nail that sticks out." She also said she refuses corporate sponsorship. "If I accept sponsorship," she told Sports Illustrated, "then climbing the mountain is not my own experience. It's like working for the company." In May 2003, 70-year-old Yuichiro Miura, a high school headmaster from Sapporo, became the oldest man to reach the summit of Mt. Everest. He broke the record set in 2001 by another Japanese man, 65-year-old Tomiyasu Ishikawa. Miura also holds the record for being he oldest man to ski down the highest peaks of each of the worlds seven continents. Miura was the central figure in the Oscar-winning documentary The Man Who skied Down Everest. In May 2008, Miura became the oldest Japanese to ascend Everest at the age of 75. He failed in his bid to be the oldest man to scale Everest when Min Mahadur Sherchan, a 76-year-old Nepalese, made it to the top the previous day. Miura climbed to the summit from the Nepalese side. Restrictions in Tibet following th Olympic torch relay protests in April 2008 prevented him from ascending Everest from the Tibetan side as he had planned. In 2003, Keizo Miura skied down Mount Blanc in France at the age of 99. In October 1994, 100-year-old Ichijirou Araya climbed Mt. Fuji. In 2008, 71-year-old Tomiyasu Ishikawa climbed the highest mountain in Antarctica and thus finished his achievement of climbing the highest peaks in all seven continents. In 2004, 11 Japanese retirees, with an average age of 63, trekked across the forbidding Taklimakan Desert in China. They covered 750 miles in 73 days and endured temperatures of -15̊F. A popular commercial shows a 68-year-old wrinkled farmer doing giant swings on the horizontal bar. Hikers that have gotten lost and been found by rescue teams and helicopters have been given bills worth several tens of thousands of dollars to cover the costs of finding them. According to the National Police Agency there were 1,631 climbing accidents in 2008, involving 1,938 climbers. Of these 1,567 or 81 percent, involved people over 40. In about 16 percent of these accidents the victims died or went missing. The dead or missing figure for those under 40 was 7 percent. Hikers routinely fall to their death while hiking on mountain trails in Japan. In 2005, a record 1,684 alpinists suffered accidents while in the mountains, with 273 of them dying and 716 of them suffering injuries. Many of them were middle aged or seniors. In October 2006, a man was rescued after 24 days on Mt. Rokko near Kobe. He was able to survive for so long because his brain went into hibernation as his body temperature dropped. The man, Mitsutaka Uchikoshi, a 35-year-old government employee, lost consciousness three days after he fell about 10 meters down a cliff and broke his pelvis, surviving for a time on a bottle of steak sauce he had with him. When he was found his body was emaciated and his body temperature dropped to 22 C. Less than two months after he was found he was released from the hospital and went back to work. Eichi Urata, an amateur climber, got stuck on a 7,700-foot mountain outside of Nagano for 15 days and survived on two tubes of mayonnaise. A man who lost in the mountains in Tochigi Prefecture survived for 13 days by eating grass and tree buds. In August 2010, a 30-year-old man with a broken legJunichi Tada of Tokyowas rescued after two weeks from a mountainous area in Ogana, Saitama. Tada, who had no food or tent, said he survived by drinking river water and eating some candy. In July 2009, 10 hikers died when they were trapped by a mid-summer storm with freezing temperatures, heavy rains and 72 kph winds on top of 2,141-meter-high Mt. Tommuraushi (where eight died) and Mt. Bei (where two died) in Hokkaidos Daisetsu mountain range. The dead were middle aged elderly hikers in their 50s and 60s  and one guide  that died as a result of hypothermia. A total of 18 climbers got into trouble on Mt. Tomuraushi. Four were found dead near a pond on the trail to the top of the mountain. One was found dead near the top. Three others were found on the trail heading down. Only five managed to descend from the mountain. The others were rescued. The hikers on Mt. 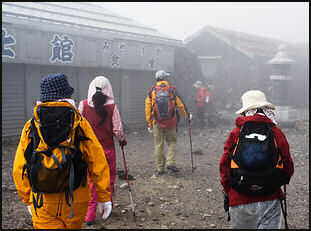 Tomuraushi started their hike at 5:30am, a half hour behind schedule, despite nasty weather. Driving rain and cold temperatures slowed their progress. At 11:00am a woman in the group began to suffer from hypothermia. Another woman fell unconscious an hour later. At that point seven people who unable to continue on sought shelter in a tent near Kitanuma pond. It wasnt until late afternoon that the guide at tent called for help. Four of these people died. One hiker was found at a fork of two trails. He died. Four women were found collapsed four kilometers down the trial. Three of them died. The remaining six managed to reached a mountain hut. Three of them were in poor condition. The five who hiked out reached the trail head, where ambulances waited, between 11:30 pm and 2:00am. In the meantime one member of a group of six and another individual died 14 kilometers away on 2,052-meter-high Mt. Bei. Amuse-Travel Co., the tour company that led the fatal hike on Mt. Tommuraushi, was blamed for the tragedy and investigated for professional negligence. Three Amuse-Travel guides took part in the hike which was part of a five-day, 45-kilometer trek in Daisetsu National Park. The guides decided to start the hike even though the weather was bad from the start and did not call for help, get off the mountain or seek shelter until it was too late. Some accused the tour company of being less concerned about the safety of the hikers than adhering to the schedule of the hike so plane reservation would not have to be cancelled. Two guides were found guilty of professional negligence. The third was among the dead. The two made their way down the mountain via a cablecar, while police plan to carry Nakanishi out by helicopter when the weather improves. A mountain lodge received a call from the group, saying that one member had lost consciousness and was not responding, police said. [Ibid] Snow was falling heavily in the area where the group was found, the temperature was minus 15 C, and visibility was about 50 meters, according to police. Police searched for another group on Mt. Chokai on the border of Akita and Yamagata prefectures. The group of eight people had been stranded after ascending the mountain on snowmobiles the previous day. The 16-member group had ridden up Mt. Chokai on snowmobiles on Wednesday. Half of the group was able to return to the inn, but the remaining members were stranded by the storm. They called the group back at the hotel to say they would dig holes to shelter in. A Subaru Takahashi is one the youngest people to sail a yacht around the world. His achived the feat when he was 14. In October 2005, 70-year-old Minoru Saito began a quest to be the oldest person to circumnavigate the globe in a sailboat alone. Japanese sailor Shigei Kitani spent 37 years sailing around the world, He left Himeji port in June 1970 and didnt touch Japanese soil again until he returned in 2007. Much of his time was spent working to finance his sailing trip. A man from Kobe spent five years sailing around the world in a home-made boat. During the voyage he stopped at some 300 ports in 30 countries. In 2000, sixty-year-old Japanese explorer Kenichi Horie sailed across the Pacific in a 10-meter boat made from 528 stainless steel beer kegs, with sail made from plastic from recycled bottles. It took him 102 days to sail from San Francisco to Kobe in his unique craft. In 1962, Horie achieved fame as the first man to sail solo across the Pacific. In 1997, he became the first to across the Pacific in a solar-powered craft. Kenichi Horie traveled between Hawaii and Okinawa in a pedal-powered boat in 1992 and 1993 and sailed solo around the world with making port calls in 2004 and 2005. In 2008 at the age of 69 he traveled from Hawaii to Japan in a boat propelled only by the ocean waves The 3.5-meter craft was made of recycled aluminum and was powered by unique wings attached to the bow of the boat that moved up and down and propelled the boat forward like the flippers of a marine mammal. Sixty-year-old Ikuo Tateo was rescued 1,400 kilometers east of Japan in his second attempt to row across the Pacific in 2007. He was rescued by a freighter after a an arm injury made it impossible for him to continue. Tateo, who runs a metalworking business, failed in a bid to row across the Pacific in 2004. Rocky Aoki, owner of the Benihana, was a member of Japans Olympic wrestling team, a driver in the notorious (and illegal) cross-country Cannonball Run and was the first man to cross the Pacific in a balloon. He accomplished that feat in 84 hours and 30 minutes, flying from Nagashima, Japan to Covelo, California. Midway through the flight he cooked a banquet dinner on a propane stove on the balloon. Microlight aircraft have become popular in Japan in recent years. Costing between $10,000 and $50,000, they can be used without a license and dont require any training. Attention has been drawn to them as the result of some high-profile accidents. Motomitsu Ikemoto spent more than four years circling the globe on a bicycle between 1968 and 1972. A former bike racer, he rode more than 41,840 kilometers in 47 countries when he was in his early 20s. In 1978 he became the first person to scale Mt. Kilimanjaro by bicycle. In the late 2000s he retraced parts of his epic journey to thank people who helped him along the way. Daisuke Nakanishi spent 11 years bicycling around the world. He covered 150,000 kilometersthe equivalent of circling the globe four timesand visited 130 countries. He worked construction for six years to earn enough money for his journey, which began in Anchorage, Alaska in 1998 and finished on the ferry from Pusan to Osaka in 2009. He went through 82 tires, 15 chains and five pedals and carried 25 kilograms on a bike that weighed about 10 kilograms. Nakanishis journey took him from Africa to Panama and then to Africa. From there he went to Australia and South America then back to Europe and made his from west to east across Asia. Among the hardships he endured was having his tent surrounded by two hyenas in Namibia; getting caught in the middle of the Russian attack of Georgia in 2008; coming down with malaria in Equatorial New Guinea; and paying bribes to get out of Gabon. In South America he said he sometimes stayed in prison cells in police stations because he knew that there he and his bike would be safe. In Brazil, he found welcoming hospitality at fire stations and met Pele. In New Zealand he looked up Sir Edmund Hillary, the first man to climb Everest in the phone book, called him up and was invited to his home. Hyoichi Kohno is an adventurer who had bicycled around the world, rafted down the Yukon River, climbed Mount McKinley, walked across the Sahara in 129 days, was knocked off a mountain in the Karakoram range in Pakistan by a block of ice, walked 490 miles to the North Poles in 60 days, and walked from Los Angeles to New York. In March 2001 he began his most ambitious trip yeta solo six-year, 9,300-mile walking, skiing and kayaking journey from Canada to the North Pole and back his hometown in Japan via Siberia. A couple weeks after he began, Kohno froze to death after falling through the ice into freezing water 420 miles from the North Pole. His message on his website was: "I spent the afternoon in the tent because of a white out but there is no need to worry. Although I saw some footprints of a polar bear I don't feel any immediate danger." Two days later the signal from his radio was not heard and the day after that a scheduled phone check in was not made. A few days after that a search found part found his sled on the edge of a crumbling ice floe. Naomi Uemura (1941-1984), an explorer who climbed Everest, the highest peaks in five continents alone, and made it to the North Pole in a dogsled, died on Mt. McKinley in Alaska.